His eminence stressed that Iraq and the Hashemite Kingdom of Jordan have many commonalities in politics, economic and society that represent strong ties to the relationship between the two countries, expressed his deep happiness for the recent steps taken the exchange of visits between the two countries' officials at the highest levels, considered Tarawneh's visit an important step towards strengthening relations between the two countries, pointed out that Iraq has achieved great victories on the military level, had fought Daesh's terrorism on behalf of the region and the world and liberated the entire territory, and was able to contain sectarianism and preserve its national unity. Sayyid Ammar al-Hakim explained the nature of political changes in Iraq, including forming unbiased national alliances as a the Reform and Reconstruction Alliance, which includes political powers of all components of the Iraqi spectrum, offset by the Al-Bina Alliance, which also includes honorable powers of all components, as well as the consensus of the two alliances to nominate an independent prime minister, stressed Iraq's quality having a strategic geographical location and population and components weight, which makes Iraq able to bridge the relations between different regional sides. 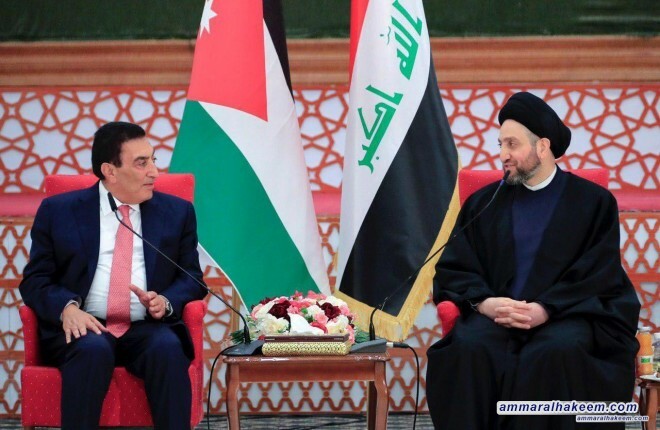 And emphasized that the Reform and Reconstruction Alliance encourages the government to exclude Iraq from any of the international and regional axes, for the interest of Iraq lies in positive neutrality and build good relations with everyone and everyone are to respect this will. 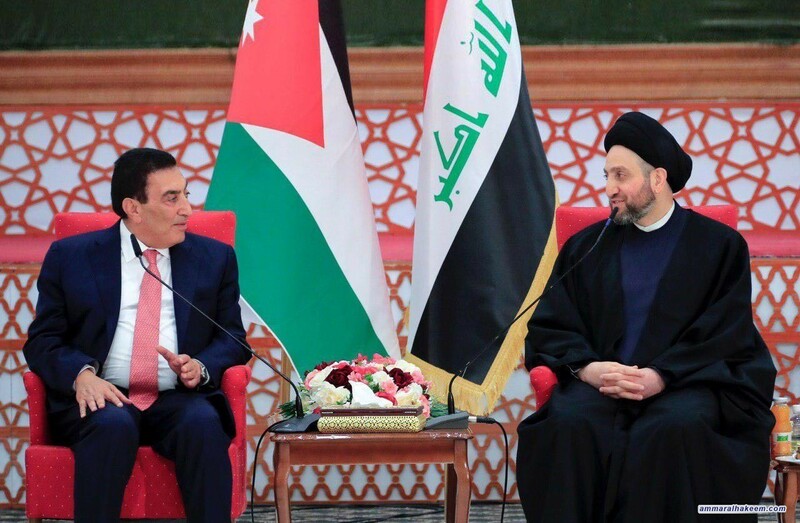 Speaker of the Jordanian House of Representatives stressed the keenness of the Kingdom to strengthen and deepen relations with Iraq, congratulated the Iraqis for the great achievements, and invited his eminence to visit the Hashemite Kingdom of Jordan.